Projected Final Grades allow the professor to help project what grades a student needs to make for a final exam. If the option is turned on for students to view this option, students can also use this report to project their own final grade. Users are able to fill in grades for any grades not already entered into the gradebook and this report will calculate their overall grade for them using the values that are keyed in. 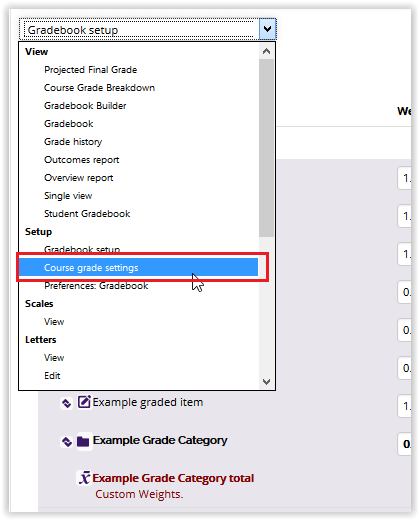 Note: By default, Projected Final Grade is enabled for students in your course. 2. Select Course Administration | Grades under the Administration Block. 3. 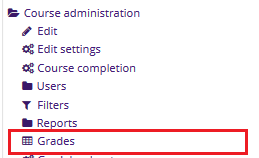 From the dropdown in the top left-hand corner of the screen, click Course grade settings under Setup. 4. 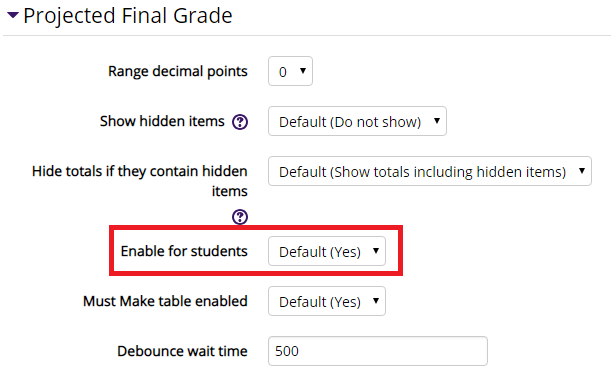 Under the Projected Final Grade menu, select 'Yes' to enable for students or 'No' to disable for students. 3. From the dropdown in the top left-hand corner of the screen., click Projected Final Grade under View. 4. Insert estimates for scores of assignments that have not yet been graded to see potential final scores for the class. The course total was update automatically.